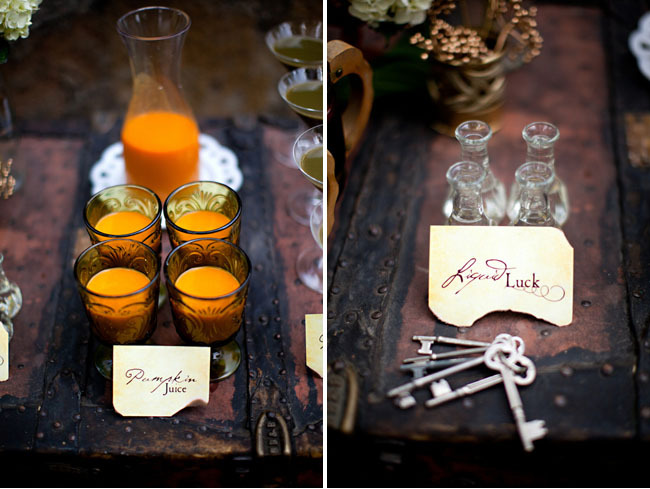 What could be better than throwing a wedding party based on your favorite movies? This is what I’ve been dreaming of. 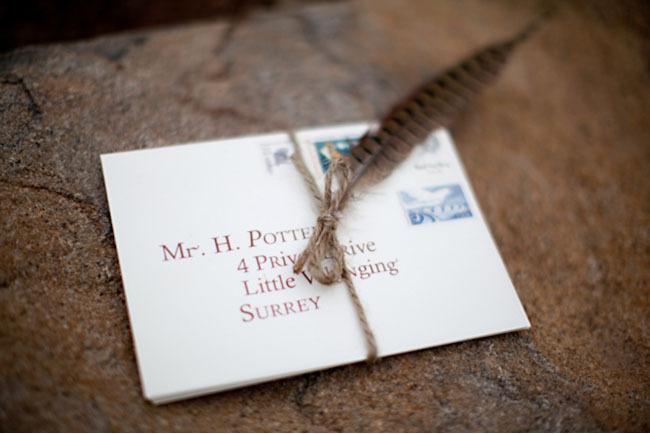 I am a huge fan of Harry Potter and still remember how exciting I was when I first watched the movie 10 years ago. 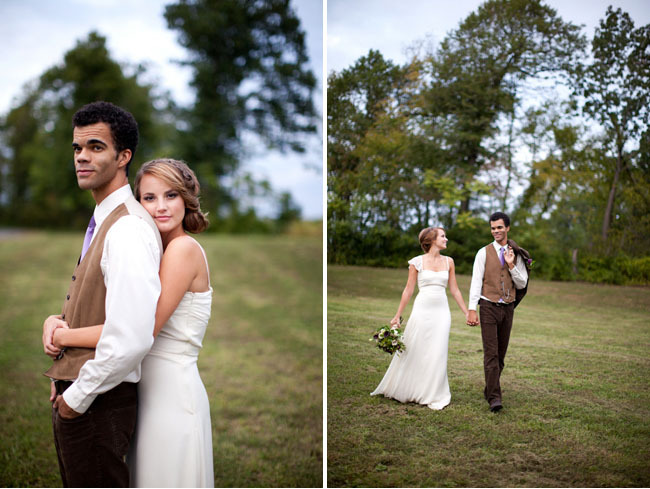 So I’m very glad to share this wonderful wedding of Bree and Abby who also love this movie+ book. Finally they made it happen. 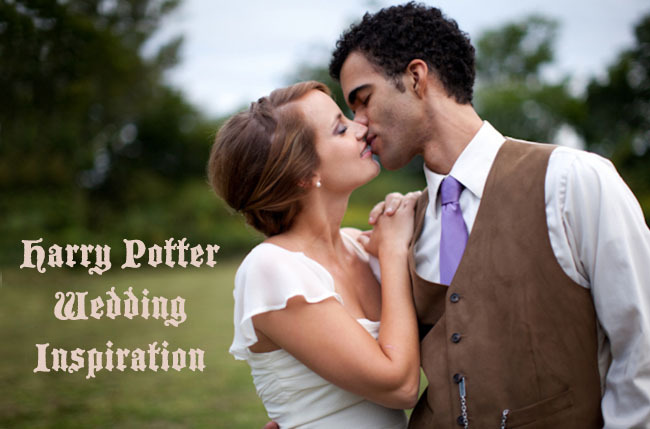 Their wedding can provide you some great inspiration if you want to throw a Harry Potter wedding, too. 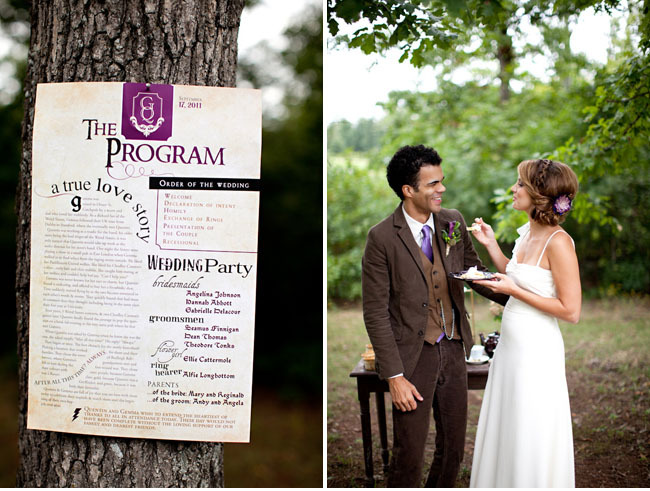 Let’s see how they managed to throw the wonderfully magical wedding. Hope you enjoy it and get inspired. 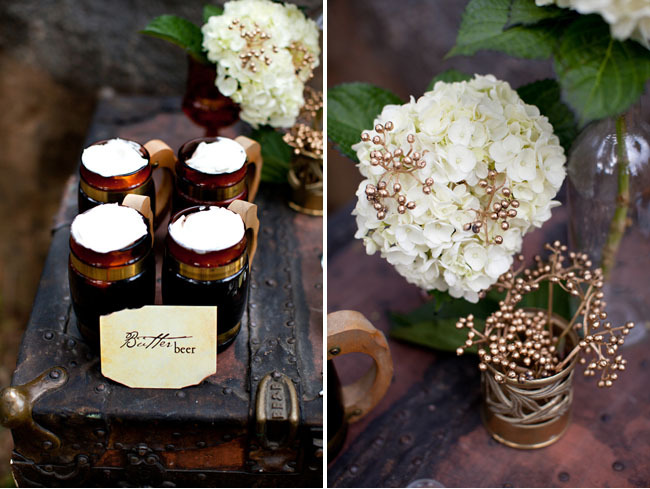 To avoid throwing a kid’s birthday party, they decided to have a mature but full of magical feel wedding with the color scheme of gold, brown and purple. These three colors worked well with each other and presented the ‘Hogwarts’. 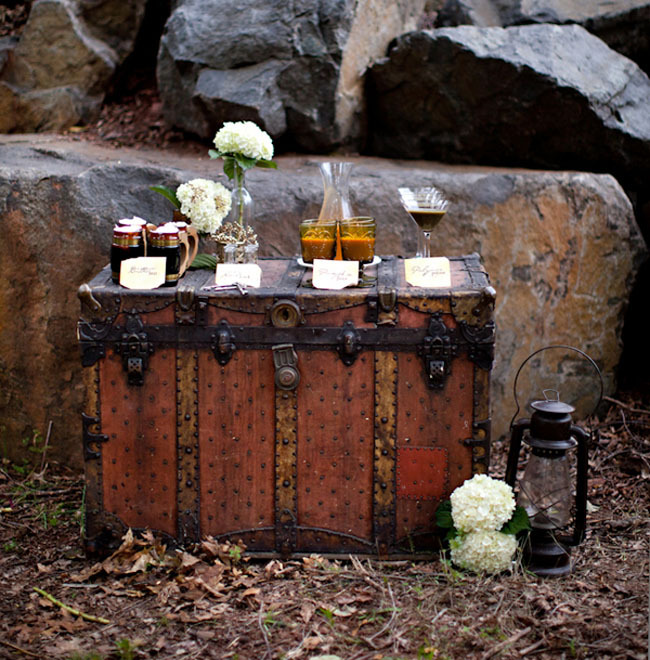 To throw a perfect wedding, details matter. 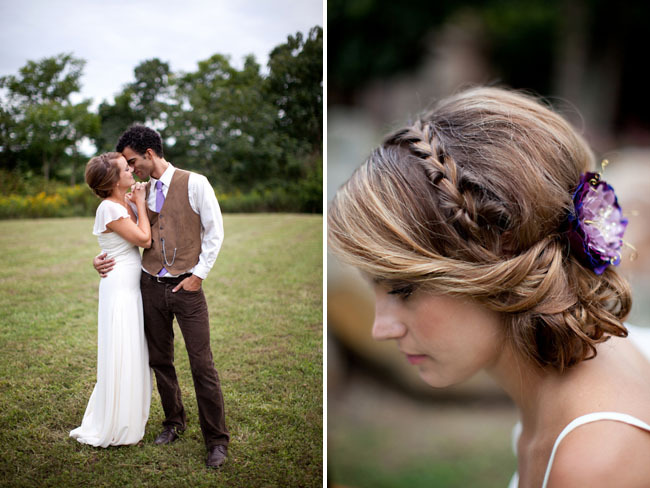 What Abby and Bree wore like the tie, heels and wedding headpieces all stuck to the color scheme. 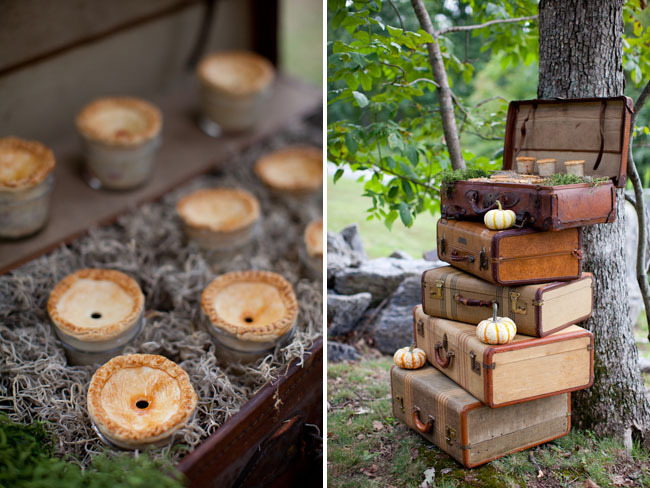 As for the wedding decorations, they are all about vintage. 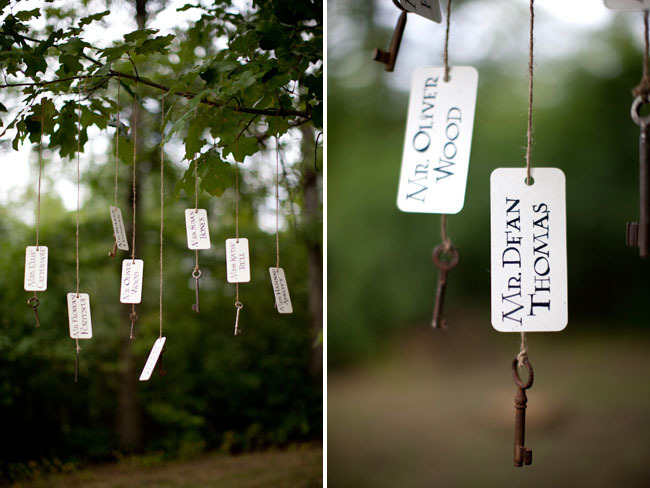 Whether it’s the leather tied on the letter or the hanging key decorations on the tree, they are provided lots of vintage accents. Speaking of Harry Potter, many of you may be impressed by the scene that they gather together to have meals. 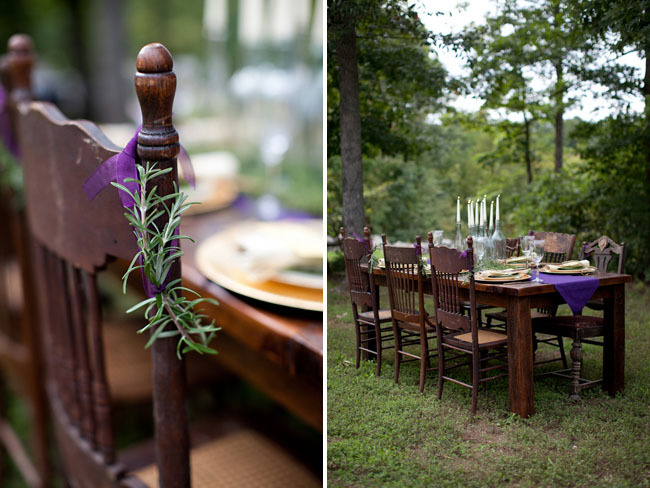 Inspired by this classic scene, the fantastic farmhouse table was definitely the focal point that day. 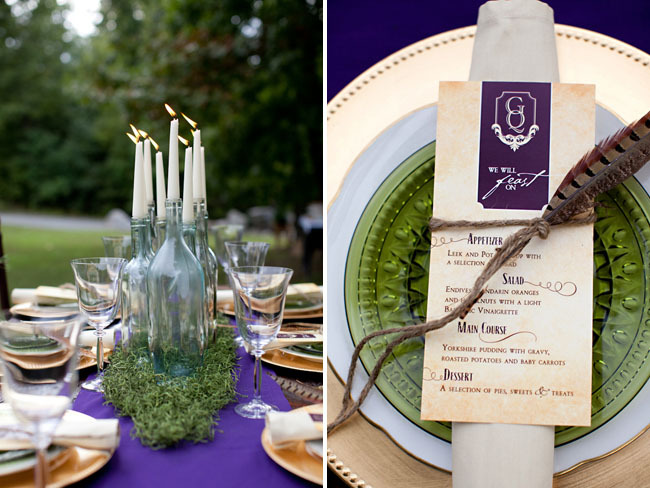 The purple table runner and bowknots tied on the chairs echoed with the theme. 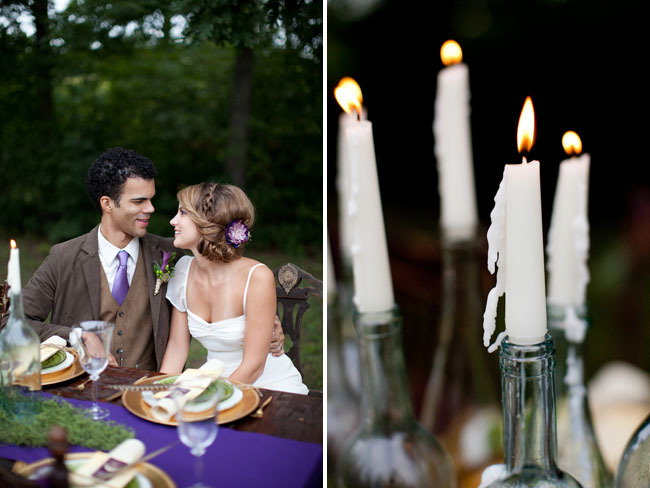 The lit candles and antique glasses perfectly recreated the movie scene. Look how they decorated the drinking table. Who wouldn’t love to have a drink around the table? 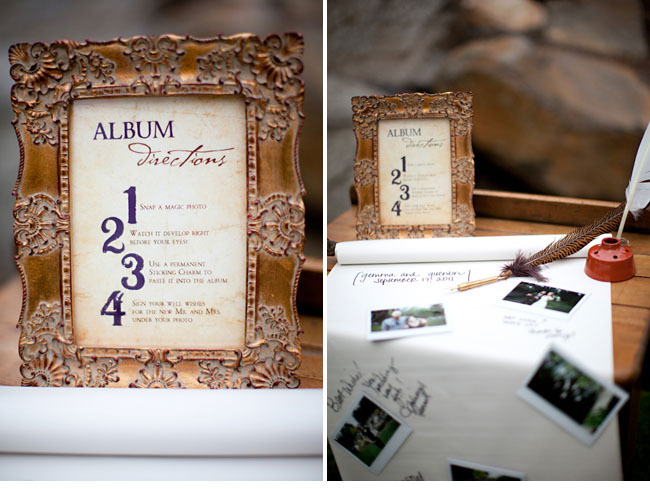 They managed to inject the Harry Potter elements into the wedding decorations such as this wedding program. Is it familiar to you? Yes. It is the famous Daily Prophet. The piled up vintage suitcases remind me of the scene of Harry Potter Ⅲ.